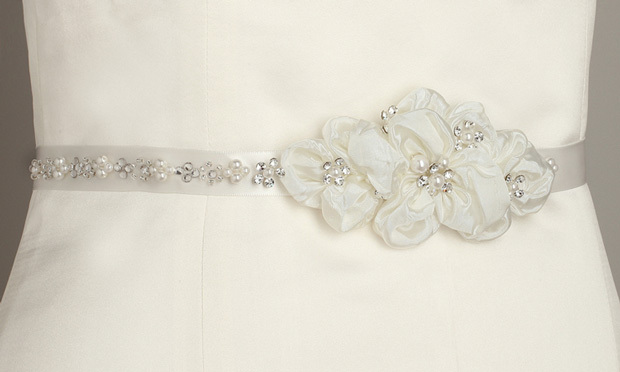 * This elegant wholesale bridal & wedding belt features a flower cluster design accented with rhinestones and pearls on a satin ribbon with pearl and seed bead highlights. 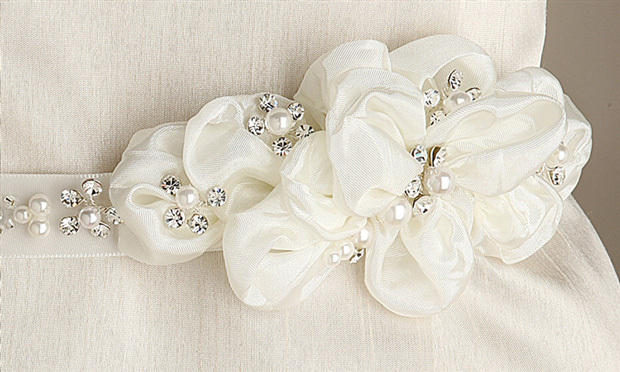 * This beautiful satin ribbon belt measures 3/4 inches wide and is 54 inches in total length with an six-inch bead & pearl and section and large 5 1/2" flower. * Mariell's wedding belts and bridal sashes are available in White or Ivory and are the perfect accessory for your wedding dress or bridal gown.